It seems that there have been some connectivity issues with the new RDP 6.0 Client via SBS RWW. Susan Bradley mentions it here, as does Dean Calvert here. So far, we have seen a few TS 6.0 glitches. 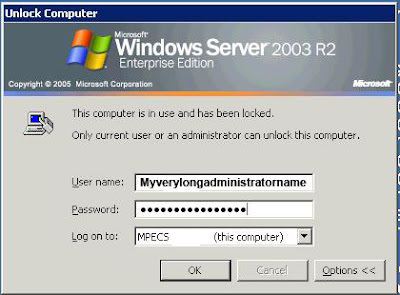 One particular hiccup with the client that I have noticed though, is when connecting to a member server on the domain with MSTSC 6.0: if the client session is sitting long enough for the session to lock out, generally 15 minutes, the TS Client resets the "log on to" to the local machine instead of the domain. It has happened pretty consistently. The first few times it happened, I thought I was making a typo since our passwords tend to be quite long. One needed to change the log on location back to the domain from the local machine. It has since become a habit, but it was a little annoying at first! A while back, I blogged about my having performance issues with Office 2007, specifically Outlook 2007, on XP versus Vista. It seems that there is a documented bug in Outlook 2007 that causes a huge impact on performance that is tied into the POP3 email receive being broken. Roundtrip Solutions Blog has the lowdown on it here. It now makes sense as to why the huge difference. The Vista machine is running Outlook via RPC/HTTPS to our SBS Exchange server here in the office. So, no POP3 accounts are setup on that system. The machine here in the office is connected to our company's SBS Exchange server internally, but is also pulling e-mail for my other company accounts via POP3 from the same Exchange server. It makes it easier to sort e-mail coming in that way, and the POP3 connection remains behind ISA with accounts that are setup only for e-mail. So, now we wait for Microsoft to fix the issue! Thanks to David Overton for the original head's up here. We have been selling a good number of Acer laptops, and now that Toshiba has caught up with the Core 2 technology, and Toshibas. Lately, to save a few bucks, manufacturers of laptops have been putting recovery images on a partition that is only accessible via the Make Backup CD/DVD Utility. If the laptop's hard drive dies before that utility has been run to create the backup disks, one has a real problem. When we receive a new laptop model, we always run through a prep process including updating the operating system and any applications that are installed on it. We now also run the CD/DVD backup utility to create a set of factory default DVD images for that model. In the process, we always make sure to never check the, "Do not show this again" option. We then remind our client to make a set of factory default disks as soon as they get it to the office or home. 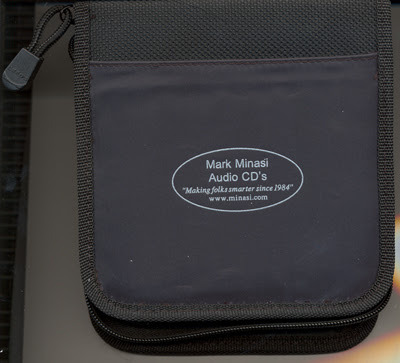 We picked up a couple of extra large 14" x 14" CD wallets that we keep all of our recovery disks in. The DVD Recovery disks we make are notarized with the system manufacturer, model number, and last 5 or 6 digits of the serial number. That way I can quickly look up who the disks belong to when we get a laptop for hard drive warranty. It always helps to be prepared. One never knows when one will hear, "I don't know what happen to those disks," or, "what disks?" Doing this has paid for itself. We got a call the other day from one of our client's receptionists in a bit of a panic. She had accidentally deleted an incoming fax from the Companyweb Incoming Fax site. I did a bunch of searching on the Web, and all I could seemingly find was that I needed to recover the STS database, mount it somewhere else, and then go and get that fax. Given the amount of time involved with the recovery, I was to do it this weekend. Low and behold, today I was on-site to work on a separate fax related issue. There were a few very specific companies that could not fax my client. I swapped out the modem, a USRobotics external USB, and went through some diagnosis. While working on that, I discovered the spot where MSFax parks the incoming faxes BEFORE they are routed to the Companweb site! And, guess what I found! :D That deleted fax. I must admit, I did not know that the incoming faxes were stored locally with a copy being forwarded on to the Companyweb site. I had assumed that the original was routed through with fax document touching the hard drive. When troubleshooting incoming faxes, the folder above the inbox contains the necessary log files that one needs to look over to see just what may be going on with a troublesome incoming fax. And, that is where the rest of my focus went! 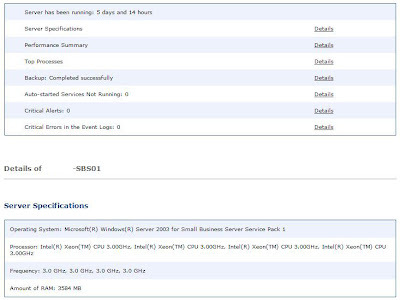 This particular SBS installation is SBS 2003 SP1 Premium Edition running on an Intel 2U SR2400 with dual Xeon 3.0 GHz. processors. It has two hot swap RAID arrays, one RAID 1 pair for the OS, backup files, and VSS images; and a RAID 5 array of 4 drives for their data. During peak season for them, they can grow at close to 1 GB a month, so we have a rather large RAID 5 array, with archiving of older data to keep things under control. This SBS box is up to date, and running a large USB 2.0 external hard drive for backups. We come in every couple of weeks to swap out that drive and provide an archiving service for them if need be. I find that this box is the one that we see the most happy reports from. It runs very stable, and other than the occasional reboot for updates, it has never been shut down. It is serving 14 desktops as well as a number of outside employees via RWW and some dedicated RDP boxes. There is till room to grow for this particular client. Advice: If the system is dual processor capable ... always try and plug in the second proc at build time. Have fun matching the existing one two or three years down the road otherwise. And, it will be twice the cost, and at a higher CPU stepping point that your existing board may not have a BIOS flash to support! Looking over the logs, they can grow at well over that in one month, coming close to 1 GB every couple of days! 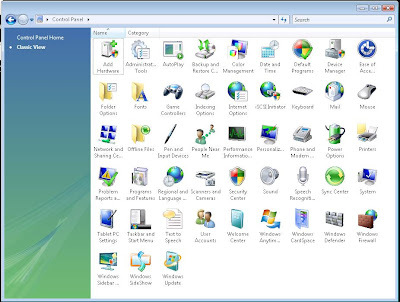 I have been following a number of different conversations with regards to the changes in the licensing scheme for the Action Pack XP Pro and Vista Business operating systems. There is David Overton's Blog here, and here. Another, is on Susan Bradley's Blog here, and here. And, yet another, is on the Microsoft Small Business Community Blog (US) here, and here. Here is David Schrag's take on it ... he even went so far as to create a MAPS wiki! And, on Microsoft's Partner Portal, the actual Webinar explaining the whole thing here. As I understand it, the new licensing scheme indicates that the desktop operating systems are licensed as upgrade versions. I believe this to be a terrible move on Microsoft's part. Because, we relied heavily on our Action Pack when we first started out! Can you imagine what it would be like for a start up IT company that supported Microsoft's products to have to pay outright for their products? Or, for a one man/woman shop to have to fork out that kind of coin in the first couple of years? YIKES! That to me, contravenes the spirit of the Action Pack. It is supposed to be there for those of us who resell Microsoft's products. 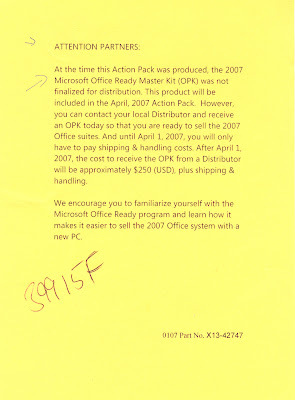 It is NOT a way to get "FREE" or "CHEAP" Microsoft software! It is supposed to be there for us to learn Microsoft's products so that we can facilitate a better Microsoft Product Experience for our clients! It is our knowledge, our expertise, that enables us to provide a stable network infrastructure based on Microsoft's products. Without that knowledge and expertise, our clients are left with a bitter experience of both the IT company that came in to do the work, and the Microsoft products that seemingly did not work! The Action Pack gives us the ability to, "Walk the Talk". After four years in business, we are now in the position to purchase some of the software we need. We are doing that through retail licenses for XP Pro (almost gone), and Vista Business. We then tack on Software Assurance for desktop operating systems. We are utilizing the Open Value Licensing scheme to spread our software license purchase payments over three years. It makes the most sense for us, and extends our SA agreement to three years versus the two for the upfront SA purchaser. For those companies that can afford it, those a little further down the trail to sustainability, Open Value Licensing with Software Assurance is the way to go. Check into it. Most importantly of all ... stay legit ... and know how to! This info tab from IE is stuck on my right monitor. I have had it happen a number of times now. The last one was for the script warning that happens the first time I click on the Add A Link button while blogging on my main monitor. I have a multiple monitor setup, and I suspect the bug is tied into that. It is strange, and so far, the only way to get rid of it is to log off the system and log back in again. It may be possible that it is related to the ATI video drivers. We shall see if the problem disappears with the next Catalyst release. 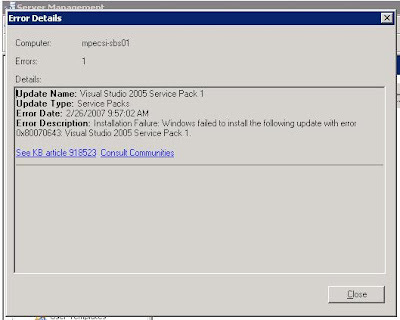 System Builder Tip: Vista Install - Stop Error 0x0000009F - FIXED!!! Hmmmm, KB Troubleshooting a Stop 0x9F Error in Windows XP nope. KB Troubleshooting STOP 0x9F Error Messages in Windows, again nope. KB You receive a Stop 0x9F error when you wake a Windows Vista-based computer that is connected to an IEEE 1394-based device definitely doesn't cut it either as the BSOD happens during install. The setup is a brand new Intel D945GTP, Pentium D, and Kingston RAM. Most BIOS settings and on board components are disabled with the exception of the video. Two revisions of this board did it: the GTPL and the GTPLKR. At least this time the Stop Error stayed there and the thing didn't reboot on me. When it kept rebooting, all I saw was the blue flash. After the reboot into setup it would do it again in exactly the same spot. Just a tad bit frustrating. Not sure what I am going to do as there is little info out there on it other than the KB articles already cited. For you system builders, be wary of quoting on a system with Vista before you have tested the configuration. Things like this could be costly to your business and your client's trust in you. UPDATE 2007-02-23: Okay, a lot of hits on this one. I will dig deeper to see if I can discover a work-around. If anyone comes up with the solution, please comment! UPDATE 2007-03-08: I picked up an ATI FireMV 2200 PCI-E low profile capable video card so as to bypass the onboard video. I till get the BSOD. I am a little stumped. Going to check and see if we can update the BIOS and go from there. UPDATE 2007-03-23: Spoke with Intel Desktop Board Technical Support about this issue this evening. The tech recommended I try a different media disk. So, off goes the OLP Ultimate version, and on goes the OEM Business version. The system still blue screened. Different error this time, and I could not catch it as the screen went blank as soon as the last line peeled off the screen. But, after trying a little bit of a different tact for searching, Vista Install Error Log, I came up with Vista Install Freeze Problem on Microsoft's Forum. This came from the setuperr.log that was in C:\Windows\Panther\UnattendGC. 2007-03-24 00:12:27, Info [windeploy.exe] Setup has not completed, adding pending reboot. 2007-03-24 00:12:27, Info [windeploy.exe] Found no unattend file. 2007-03-24 00:12:27, Info [windeploy.exe] Found generalization state [0x4], setup.exe completion flag [False] --> launching setup.exe. 2007-03-24 00:14:37, Info [windeploy.exe] Setup has not completed, adding pending reboot. 2007-03-24 00:14:37, Info [windeploy.exe] Setup was launched during Safe mode. 2007-03-24 00:14:50, Info [windeploy.exe] Flush took 656 ms. Both of the above errors were the last log files to be touched by the OS just before it died. dvi: Add Service: Modified existing service 'ialm'. dvi: Writing common driver property settings. Those last characters demonstrate something unhappy in the install process me thinks. And this kinda points to what I have a hunch about: Intel delivered some sort of driver for the Vista image for the 945G chipset that doesn't seem to be working. They worked on the 965 chipset because it is current, and a lot of new systems would be going out on it. That seems to me to be logical at this point from a business point of view, but, what about those of us who are still supplying 945 chipset based systems? So, I am waiting for the Intel rep to call back so that I can let him know that the install failed on a different Vista DVD media set. Obviously this is not the complete list. But, it gives you an idea of the amount of time I have put in trying to figure this one out. And, once I have exhausted all possible avenues, I will let it go. But, for now, there are a couple more to go yet including an RMA for this board. I finally got Vista Ultimate 32 bit to install on this board! Intel just released a BIOS update for the board that fixed compatibility issues. Sometimes, patience and persistence does pay off and makes the whole struggle worth it! Thanks to Ben over at Intel Desktop Board Support who helped me with some suggestions along with the recommendation to check out the newly released BIOS. So, to you System Builders, if you are having Stop issues, bet on the system board and a needed BIOS update for compatibility! Now, on to some testing for Aero compatibility and Assessment Scores. I haven't seen this problem in a while, but, every once in a while it pops up and takes a bit of time to figure out. We were updating a Lenovo laptop - wow, they sure have a lot of software updates for their laptops - and when it rebooted, it could no longer connect to the network. After some troubleshooting, it turned out that it looked like the physical connection was dead. Nope, take it to another network connection and still the same thing. The bad thing was, it was one partner in the firm, and when the other partner decided to take his Lenovo out of its docking station and plug in the troublesome one, he could no longer connect! I ended up heading in to verify just what was going on as a remote session could only get me so far. I took a new network switch with me just in case. Plug all the active nodes in, and nope, problem still existed, only now everyone couldn't connect even after a reboot of their systems. Whenever a network connection is released, you see 0.0.0.0 when the "IP" comes up via ipconfig /release. If you try and renew your address, and no DHCP server answers, then you end up with a 169.x.x.x IP. However, when the machine calls out to the DHCP server, it still broadcasts itself from 0.0.0.0. Guess what? ISA says, "No way & no how are you coming in here!" Or should I say, the fix that I came up with in a pinch! :D It works though, and that is the main thing. Take careful note when creating the Access Rule, that I have both DHCP services, both Internal and Local Host included in the From part of the rule, and All Protected Networks (including Local Host) in the To part of the rule! This screen shot was taken a little while ago. Because, in this client's case, IE 7 would have broken their custom accounting applications and a couple of key Web sites. After some more testing, and a few tweaks, IE 7 has now been released to their workstations. 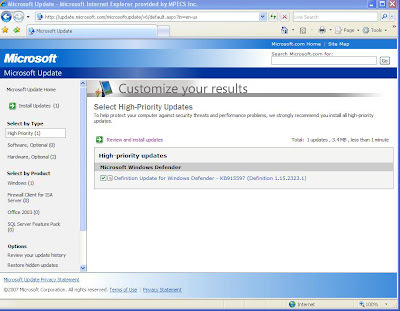 What I thought was interesting though, was that every time I logged into the server and connected to the WSUS 2.x Web console to verify, approve, or decline updates, IE 7 would be right there at the top! We declined IE 7 at 100% of our clients when it was released. It took about two to three months before we finally saw enough compatibility with our client's particular situations. Once things settled down though, IE 7 is our browser of choice now. Yes, it still has quirks for coders to work with, but it is no where near as bad as IE 6 was to code for. I went to test a POP3 server connection from one of our Vista remote clients, and discovered that the Telnet client was not installed by default. The link with the shield, Turn Windows features on or off, is the next one to click on. Then, you will be done. If you are a bit of a traditionalist, as I am, then you can switch to the Classic View, and click on the icon! Now, off to find the source of my POP3 problem! And, Microsoft's Windows Vista homepage. I use my MSN Messenger, Windows Live Messenger, and Windows Messenger installations to keep in touch with my clients and a few suppliers that have sales reps into it. On our client sites, these programs are restricted via ISA Firewall policies for most users. 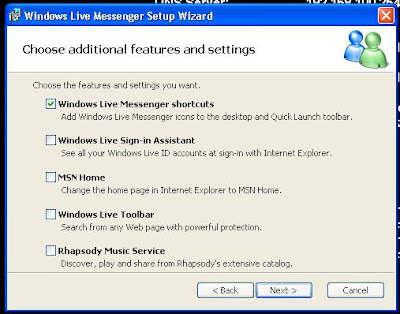 Windows Live Messenger just nagged me to update, so I did. I got some sort of EULA for a toolbar of some sort that I denied, along with some indication that they were going to install some other programs. I was not given the option to say NO to those other programs! I get cranky when that happens. The toolbar at least didn't install when I denied the EULA. 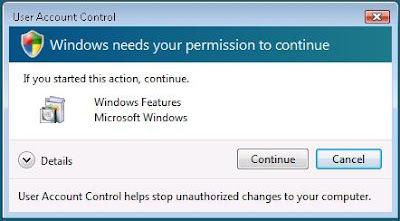 I DON'T like software being installed on my system without my permission. This is especially true since I spent many hours over many years cleaning out client systems of software that surreptitiously installs itself and does bad things. Today, we have labelled most of those programs that get installed surreptitiously as Malware, or Spyware depending on their purpose. While I realize that these particular programs are not necessarily categorized as either of the above, it goes without saying that, in principle, software should not be installed on a person's system without their permission. NOTE TO MICROSOFT AND REAL PLAYER (or whatever the chicken your company name is): If I wanted your software on MY system, I would have gone to Real's site and installed it MYSELF. NOTE to Real Player: Your software is NOT installed on my system, that is your player, and it won't be. And soon, neither will your Rhapsody stuff either. UPDATE: Mea Culpa, that is, I stand corrected as per the one comment. Apparently I missed the do not install check boxes as they were quite small. If that is so the case, then please accept my apologies ... however ... my opinion still stands as regards software installing without my permission. UPDATE 07-02-18: I couldn't resist, I needed to verify just where I went wrong. 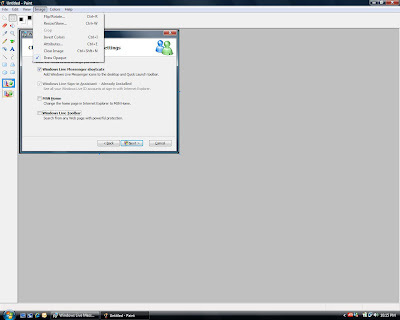 Installed Windows Live Messenger 8.0 on one of my virtual XP Pro SP2 machines and logged off. When I logged back on, I received the update request and I followed through on it. When I saw that, I went through the same process on one of the Virtual Vista machines and produced the same result. I know the update that I went through that originally spawned this post was completely different than this, as there were a number of different steps. Fluke? I am not sure. Perhaps a lot of people did complain and things were cleaned up? Again, I am not sure. So, for now, my quest to verify what I went through is at a stand still. This situation does reinforce the need for me to take screen shots of pretty much everything and anything that I am doing! Did I say that, "I am pretty excited!"? 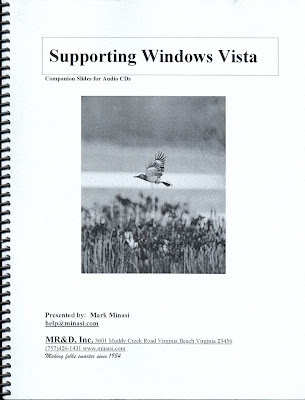 I ordered Mark Minasi's Supporting Windows Vista audio CDs when I saw mention of them on Susan Bradley's Blog. They just arrived today! And, other than UPS gouging me for 20% of the value for their freakin no permission asked for brokerage fees, I am very excited about it. I am looking forward to learning a lot about Vista and it's abilities through this very intelligent and talented man. Thank you Mr. Minasi for sharing your wealth of knowledge! You too can obtain your copy on Mark's Web Site. That is at Minasi.com and not markminasi.com as that is currently occupied what looks to be domain squatters? 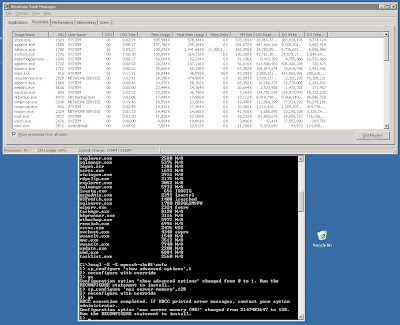 I am still not 100% convinced that I like the integrated WSUS setup in SBS 2K3 R2. I like the granularity of control on the WSUS 2.x installations that we have across all of our client SBS SP1 installations with the exception of a couple that have extremely limited disk space for now. At least with the WSUS 2.x Web Console I could see first hand what the updates are doing, whether they had been installed, and what level of updates I wanted to release to the clients. Essentially, I had control over ANY level of update. In WSUS R2 edition, I do not. Other than the occasional call to approve updates, I am not seeing my clients get updated with certain types of updates. There really is not a whole heck of a lot of ways to control what is happening for updates in a WSUS 3.x SBS R2 edition setup. The 0x800A0007 brings up nothing relevant to my situation. Updates were working, now they are not. So, I searched, and I hunted, and I found this at the TechArena site. Still the same, however, after a reboot, I made it into the Microsoft Update site! 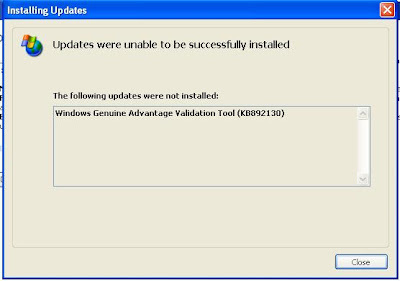 After a long scan wait, it wanted to install the Windows Genuine Advantage Tool. 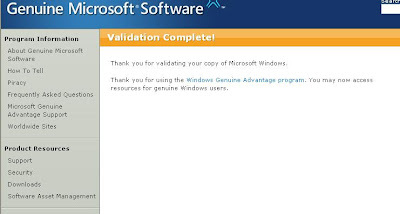 Head over to the Windows Genuine Advantage site and run the validation manually. Voila, we now have a recognized and legitimate installation of XP Pro SP2. Head on back over to the Microsoft Update site, and run the Custom scan again and we have a list of updates. Long and short of it: WSUS error 0x8007000e and/or Microsoft's Update Web site's error 0x800a0007 can be caused by the WGA tool NOT installing automatically. You will need to install a bunch of updates! Be prepared to have some work over this if you have a number of desktops displaying the same issue! UPDATE: Microsoft's WSUS Download page that includes a number of troubleshooting tools. UPDATE 2007-02-24: Okay folks, me thinks this may be a Genuine Advantage and Microsoft Update related bug. Why? The errors showed up on the same two boxes again! These are virtualized XP Pro SP2 machines. They are the only two boxes being affected by this situation. They are also a relatively new setup and install. I messed around with ISA to see if it was being difficult with the connection to the point of setting up an IP rule associated with one of the troublesome machines to have unconditional access to the Internet with no positive results. So, given that the last time I had this problem, it was related to the Genuine Advantage setup, I headed off to the site to see if that was broken again. The validation worked with no problems. Still no ability to update from the MS Update site. Okay, what's next? Off to Microsoft's download site to see what other Genuine Advantage downloads there are. You can see the four (4) search results here. 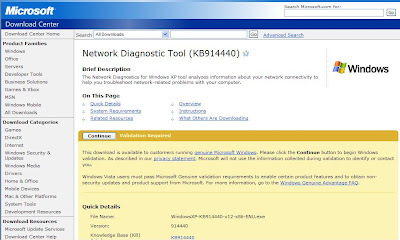 The Network Diagnostic Tool download that required validation. Funny that none of the other validation required downloads didn't show up in the search results. Um, this is an SBS network, all users are added to the Local Admin group on the workstation. 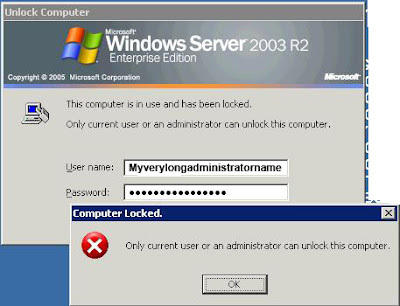 So, log off, then log on again as the domain admin. Install both tools, reboot, and hit the Microsoft Update site again. Just like the last time, it took a very long time, something like between 5 and 10 minutes, for the Custom scan to run. I logged the domain admin account off the workstation and ran the updates again logged in as myself. It worked again after a long pause. This whole situation is leading me to think that there is something broken in the validation component, Genuine Advantage, and permissions that won't allow updates to run on the systems. UPDATE 2007-02-24 #2: Okay, this is just freaky! I have a laptop on my bench that had its Hitachi drive die. I installed the replacement disk, ran the factory disks to rebuild it, and then straight into Microsoft Update. I always update a new machine to Microsoft Update if it comes stock with the Windows Update component only. That just blows me AWAY! The fix found above to get Microsoft Update/WSUS working again (WSUS error did disappear), was before this laptop. 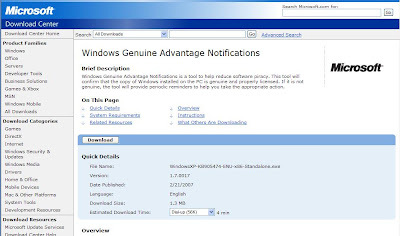 The Windows Genuine Advantage Notifications download is new...it is 67 of 67 on the list. I am pretty much convinced now! 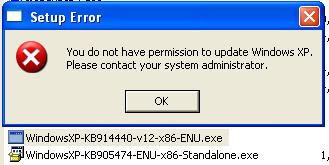 There is something funky going on with Windows Validation and Microsoft Update/WSUS! UPDATE 2007-05-01: Microsoft has just released an update that might fix the issue: Microsoft KB914810: The Automatic Updates service may stop responding. You will need to get in touch with PSS - a link is provided in the KB - to obtain the hotfix. Please let me know if it helps you! It seems that the troubleshooting guide on Microsoft's Web site has been updated recently. Hopefully that document will be helpful. If not, there is always the TechNet Managed Newsgroups for TechNet subscribers. This is a service that we have been subscribed to for about a year now. We are subscribed at the TechNet Plus level, and it has provided a wealth of information and trial software that augments our Action Pack subscription. And, of course, there is your search engine of choice. I was attempting to install Microsoft's Windows Desktop Search on my current XP Pro SP2 machine. There is a lot there. A few key words about admin rights in there caught my eye. I am a local admin on this machine, but it may be asking for more rights than I currently have. So, I logged off, logged back in as the domain administrator, and voila, the setup completes! It is now installed. While I was at it, I installed the UNC add-in for networked drive search, and the Outlook Saved Mail add-in. So far, it seems to have a similar functionality as the search feature built into Vista. 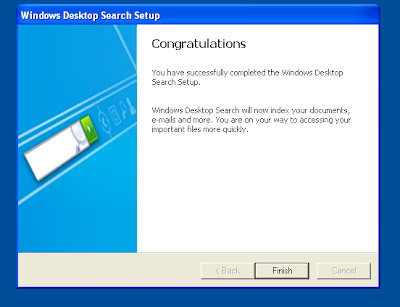 And finally, you can browse the search results for Windows Desktop Search on Microsoft's download site here. 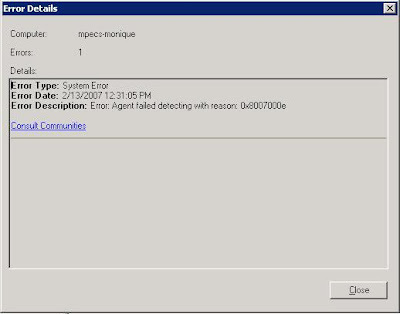 This happened to me when I tried to open the help that is associated with the IIS 6 Diagnostic Tool WFetch 1.4. 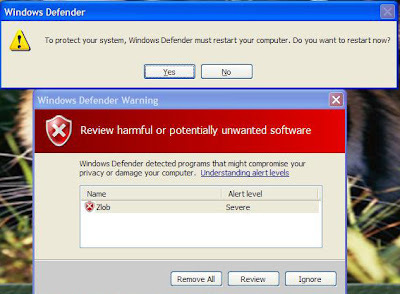 ... the Windows Help program has not had a major update for many releases and no longer meets Microsoft standards. 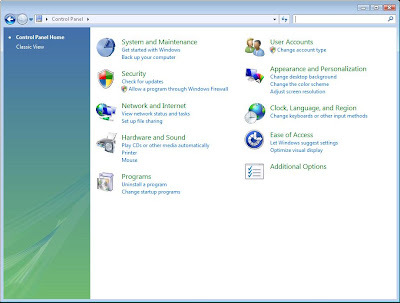 Therefore, starting with the Microsoft Windows Vista and the Microsoft Windows Server Code Name "Longhorn" operating system releases, the Windows Help program will not ship as a component of Windows. 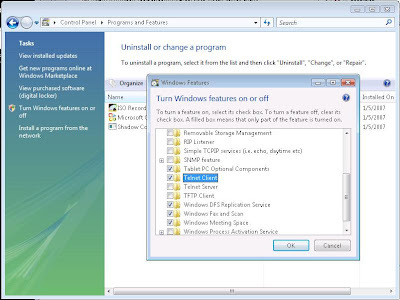 Also, third-party programs that include .hlp files are prohibited from redistributing the Windows Help program together with their products. 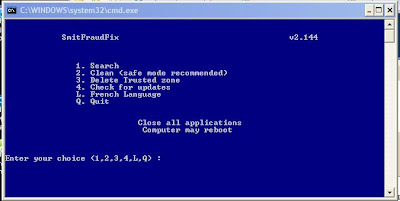 Users who want to view 32-bit .hlp files must download the program from the Microsoft Download Center, and then install it on their computers. 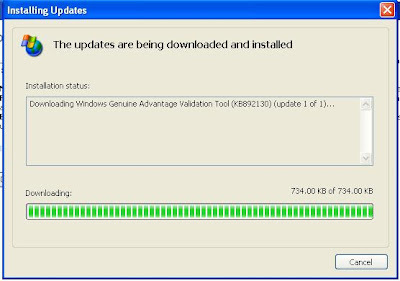 The download for Windows Help is still in development and will be available in early 2007 [Emphasis mine]. Wow, kinda leaves a whole lot of us in a bit of a pickle eh? 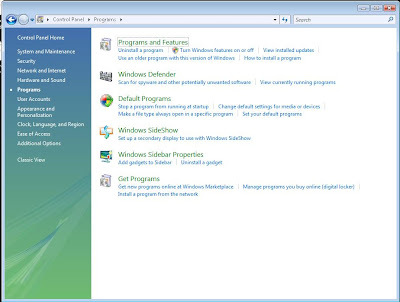 Have a program coded with the old Windows Help setup you need to access while installed on Vista? Oh well, I guess it is another little thing that will hopefully be made right at some point as per the KB article! And, maybe another reason for some to not install Vista at this point. As a passionate PC user, I find the PC versus Mac thing sometimes very funny. I do believe that Macs have their place in the world, just not mine. That had happened before, but not leaving me disk-less, and with no damage to the contents. I swore off Macs after that. At least I could manually remove my floppy from the PC machine behind me, and I would have had options for recovering the data from it too. Yes, my PC machine was temperamental too, but I had the knowledge and capability to deal with those eccentricities and work with or around them. And I could backup my work. Recently, Apple has had those PC and Mac commercials. Not being much of a TV watcher, I haven't really seen too many of them. But, I certainly have heard about them from both PC and Mac camp friends and acquaintances. Charlie Brooker has a great take on those commercials in his article, "I hate Macs". It is a good read, and quite funny. Thanks to Vlad for pointing out this great read. When dealing with a client recently who has Software Assurance, we went to download their updated software as per their SA Agreement. Okay, the file's label says, "ISO", but the actual extension is .IMG. Burn The ISO to disk, and then go ahead and run the software install/upgrade. Thanks to the TechNet Forums for this one (You will be asked to create an identity for the forums to view this link).